View our Event Archive here. Twenty two TRS members travelled to Woodstock for our first event of 2019, which was to see the second production of a Rattigan play which has been sponsored by The Terence Rattigan Society’s Harold & Pegs French Award. The Oxford School of Drama has existed for 33 years was founded by George Peck. It has enjoyed phenomenal success with graduate highlights in the last year alone including Clare Foy, winner of a 2018 Emmy for The Crown. 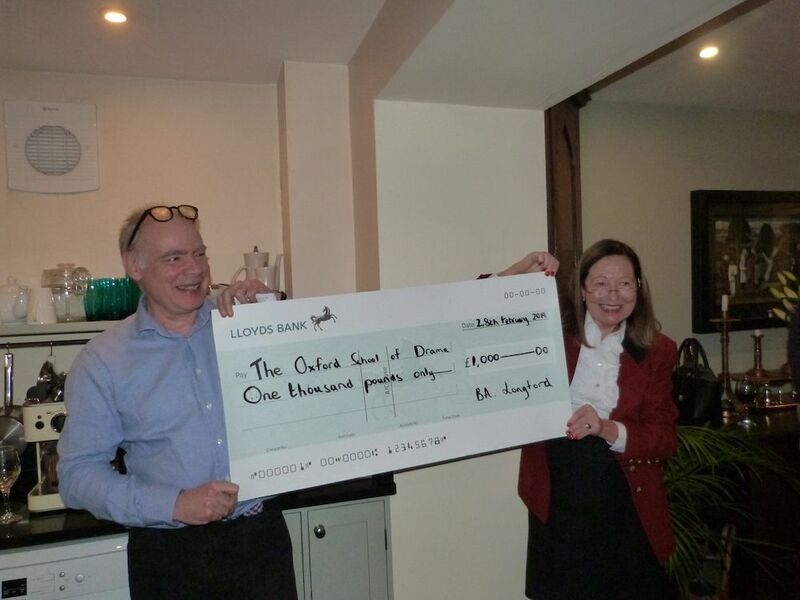 The event began with a buffet supper in the elegant home of the Principal, George Peck, during which Barbara Longford presented him with the Society’s cheque for £1,000 – The French Fund. 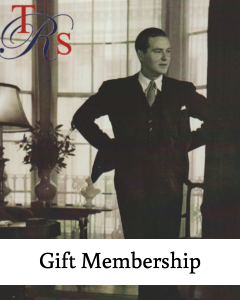 The Society intends to make this award each year to a drama school which puts on a production of a play by Terence Rattigan. We saw a magnificent production of After the Dance. The students alternated in playing the main parts and signalled a change of actor by handing over a small prop, such as a handbag, to the next actor taking over the role. They were similarly dressed. This worked well. After the performance Roger Mills chaired and question and answer session with the cast and the audience. A good start to the TRS year.